These days I don’t need much excuse to don the apron, roll my sleeves up and get the baking gear out of the cupboard and last week to celebrate my Dad’s (Grandpa’s) birthday, provided the perfect excuse. Over the last few years, the children’s birthdays have given me ample opportunity to practice making Victoria sponge and Madeira cakes and I for one was ready to consume something different. 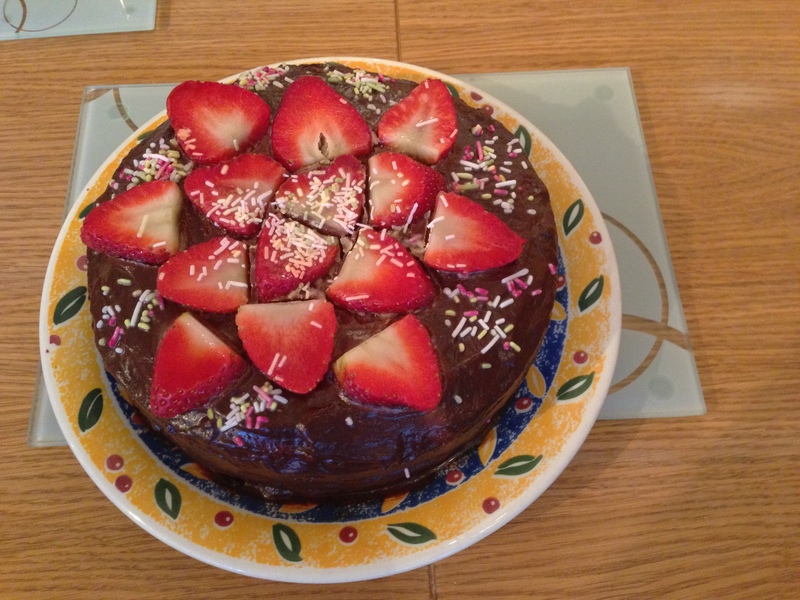 Inspired by a Facebook photograph of a cake that my friend made for her husband’s birthday recently and my father’s love of chocolate, ok my love of chocolate, I decided that a chocolate sponge cake was in order. My mother reminded me that this was not in fact my first chocolate sponge cake offering. As a child, I had spent several hours throwing together a chocolate sponge cake in celebration of one of her birthdays. A recipe at the age of 8 or 9 was obviously considered a hindrance to the creative process. The fact that I refused to touch even a morsel of the finished article, speaks volumes about the success of that experiment. 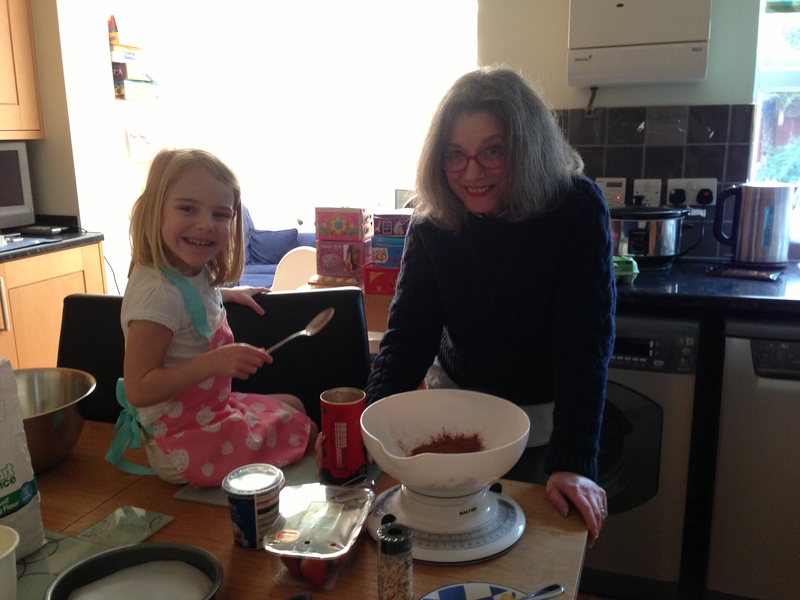 Anyway, this was Ava’s first chocolate sponge cake and definitely the first time that three generations of the Collins girls have baked together (for those of you who know my mother, you’ll know how rare this is!). Later this month it is Grandma’s birthday and I’m reliably informed her favourite cake is a coffee walnut cake. That definitely would be a first for me. Does anyone have a recipe that they care to share?